This post is sponsored by Penguin Young Readers. All opinions are my own. This time of year is my favorite. There is something about the Thanksgiving and Christmas season that brings family together. It is a time of love, gratitude and kindness. It is in this time that I try to teach my children the importance of serving others. The Christmas season is always fun and I love that my kids are excited about Santa, but I always want to make sure that they know that Santa isn’t what is important about Christmas. It isn’t about what we get but about what we give. What we give doesn’t have to be gifts. It can also be our time, our words and our kindness. 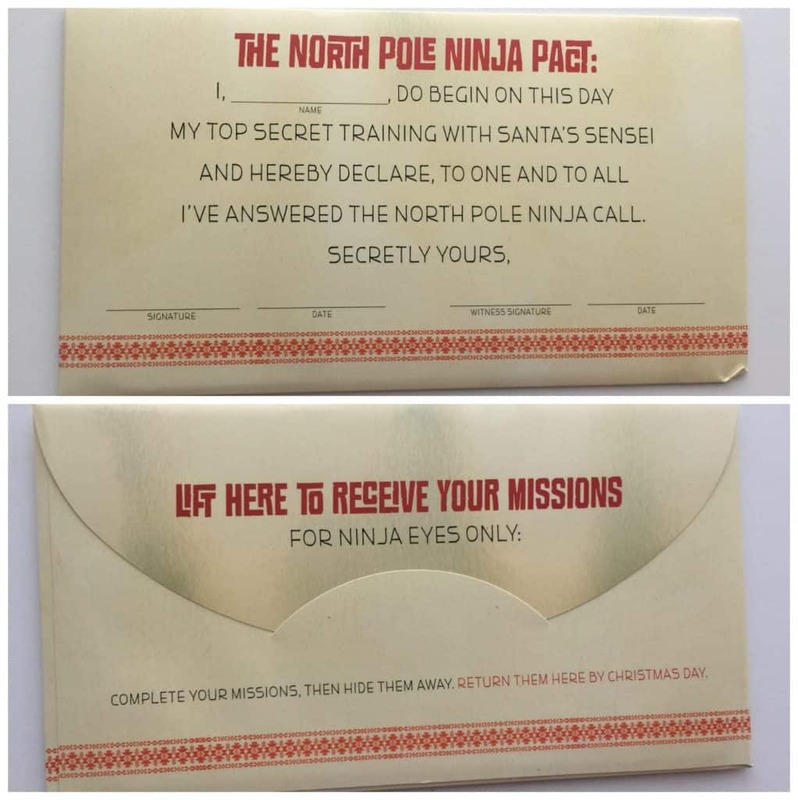 As a family, we are so excited to “gift kindness” this holiday season by following the North Pole Ninjas mission cards. 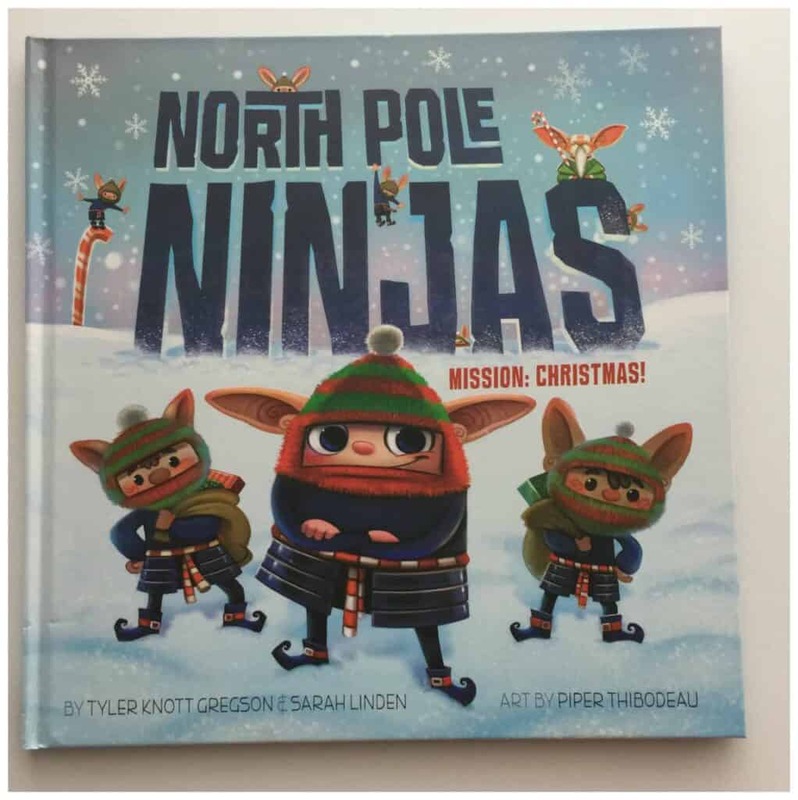 If you have not heard about the North Pole Ninjas Mission: Christmas book, you’ll have to check it out. It is a fun way for siblings to work together to help others and share kindness. Here is some information about this book. Bring kindness back to Christmas! “You may not know that Santa has a team of special elves, selected for their ability to help carry out top-secret missions that are all about helping, giving, caring, and listening. Anyone who receives this box is called upon to help carry out those top-secret missions with a bit of stealth and an open heart. 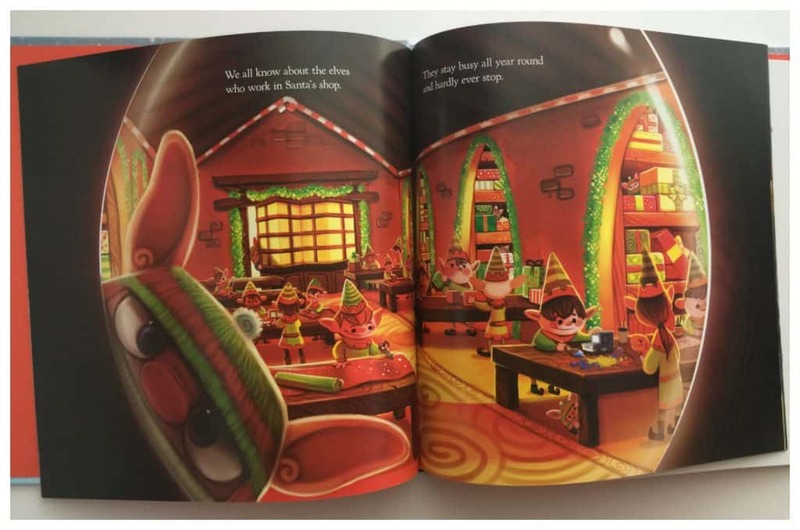 The gorgeously illustrated picture book retells the ancient legend the North Pole Ninjas use for new recruits. After reading the book, readers are given their own Ninja missions to carry out: 50 special tasks packed in a special envelope. Complete with a plush and huggable “sensei” to guide Ninjas on their journey, this is the perfect antidote to worrying about whether your child has been naughty or nice. Ninja’s are super cool, so my kids were very excited to receive their plush and Ninja Pact. In this pact they all agreed that this holiday season would be about kindness and helping others. With this book, you receive a Ninja plush and 50 mission cards that help your child spread kindness. These mission cards can be used in the home and in your neighborhood. My kids have gone through their cards and decided what missions they are most excited about doing. The thing I love about this, was that it wasn’t just one or two good deeds they wanted to accomplish, but that want to try to get as many as possible done by the end of the holidays. I love how serving others can bring so much joy. Some of their favorite missions include delivering cookies, donating clothes to charity and complimenting others. All 50 missions are perfect for kids of all ages and a great way to share kindness all holiday long. 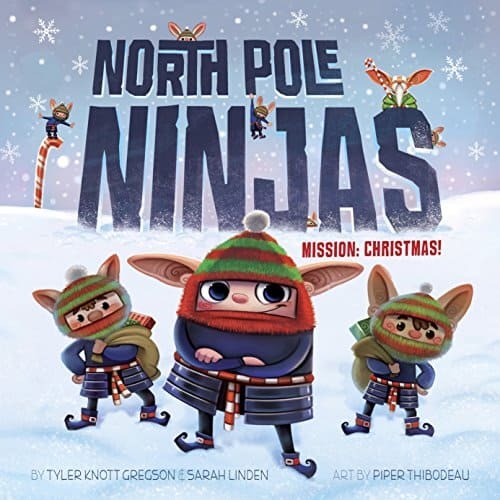 I love books and the North Pole Ninjas story is so fun to accompany their good deeds. We introduced our kids to the concept by first reading the book and then handing over the North Pole Ninja Pact. 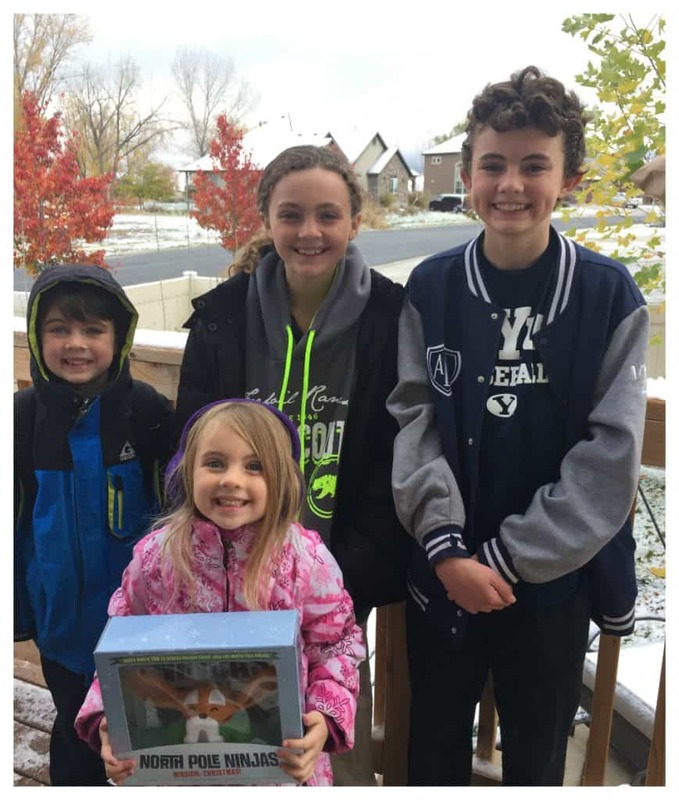 When they agreed to their missions they received their plush and were able to open their envelope to see their missions. We have since read the book again and again because the story is fun and the artwork is bright colored and beautiful. This holiday we are excited to spread holiday cheer by going on Ninja missions to help others. Share the spirit of the holidays and the chance to win $200 worth of books with friends! The holidays are a wonderful time of year to connect and reconnect with family and friends. 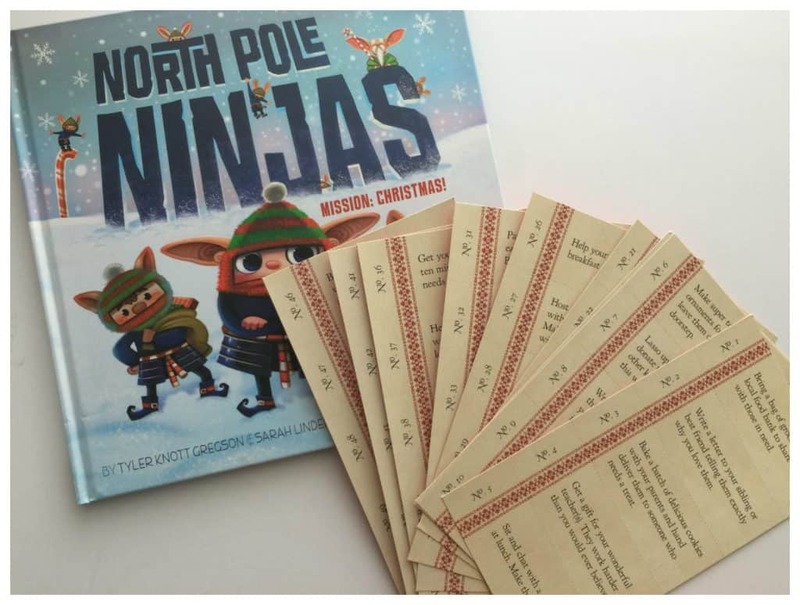 So while you’re reaching out to loved ones this season, share a unique opportunity with them to enter the North Pole Ninjas Sweepstakes for the chance to win $200 worth of books for themselves or their favorite charity from Penguin Young Readers. 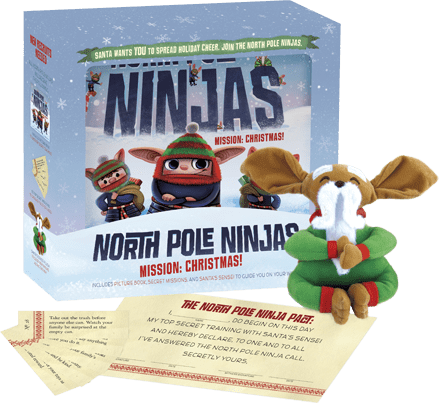 To enter, share a photo completing a North Pole Ninjas kindness mission and use both hashtags #NorthPoleNinjas and #Sweepstakes. 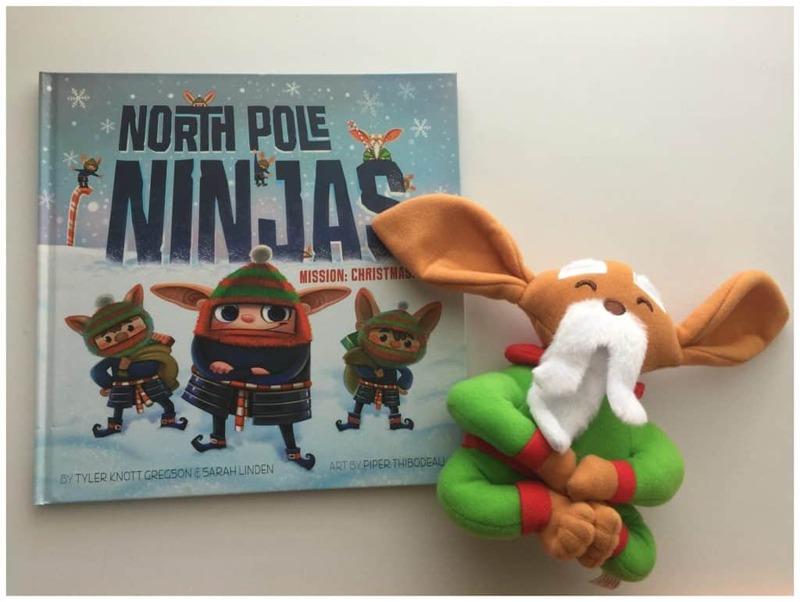 One lucky reader will win their very own North Pole Ninjas Mission Christmas book! US only. Sponsored by Penguin Young Readers.